Rayudu finished the ODI series with 217 runs to his name in four innings, with one hundred and a fifty. 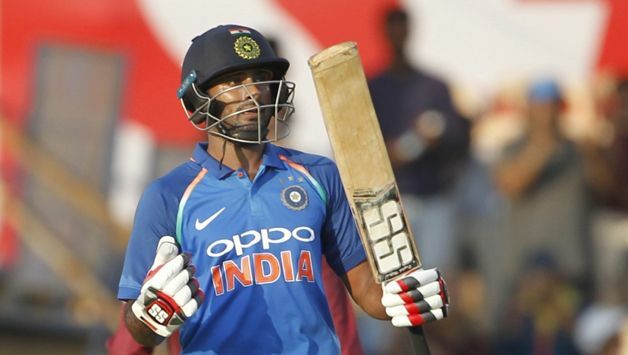 During the recently concluded ODI series against the West Indies, Ambati Rayudu was given a chance to bat at the crucial No. 4 slot and the right-hander lived up to the expectations of team management. He finished the series with 217 runs to his name in four innings with one hundred and a fifty. While Rayudu’s average in the series was 72.33, his strike-rate was over 100 – precisely 101.4. “His [Rayudu's] emergence as a dependable, reliable and explosive No. 4 is a massive positive. 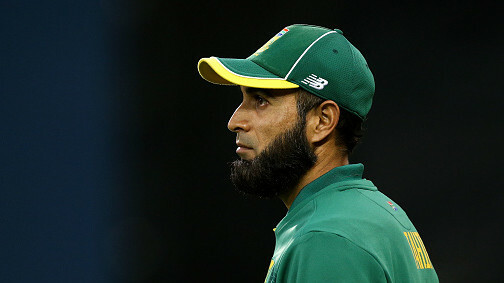 Even though he hasn’t played a lot of international cricket, he is a very experienced batsman and a huge asset to the side,” he added. Even though Team India were doing wonders in ODI cricket lately, they didn’t have a reliable No. 4 batsman. Since the 2017 ICC Champions Trophy, the team management has tried out as many as six batsmen in the vital batting position. The likes of Yuvraj Singh, KL Rahul, Manish Pandey, Kedar Jadhav and Hardik Pandya were given opportunities to seal the key batting slot. Most of them have had their fair share of good moments at No. 4, but none of them really managed to make the crucial batting position his own. “The [Indian] think-tank will be mindful that, when the top three haven’t delivered, the middle-order hasn’t yet been able to win a game from a pressure situation all on its own. But it will also be delighted that a fair few questions that lingered before the the series have been answered,” Laxman wrote. He was also full of praise for the young left-armer Khaleel Ahmed, who finished the series as joint-second highest wicket-taker with seven scalps. “The other positive was the encouraging progress of Khaleel Ahmed. He brings a new dimension with his left-arm fast option, and has shown that he can get the ball to go both ways. He must get a long run leading in to the World Cup so that he is both confident and ready by the time the big stage beckons,” Laxman opined. Team India will now play three T20Is against the Windies and Laxman feels the visitors can give a tough time to the hosts in the absence of Kohli and Dhoni. “The Windies didn’t cash in on the momentum from Pune, but I expect them to come out all guns blazing in the T20s. They will be fortified by the arrival of Carlos Brathwaite, Kieron Pollard and Andre Russell. A young Indian side, without Virat and MS, will have their work cut out. There will, I can guarantee, be no shortage of fireworks,” Laxman signed-off.